Let’s go snooping, shall we? Today is the start of a fun weekly series called “House Snooping”. We’ll be snooping around all sorts of different homes every Friday. I’m very excited to kick off the series by snooping around inside the home of Debbie of Debbiedoo’s Blogging and Blabbing! 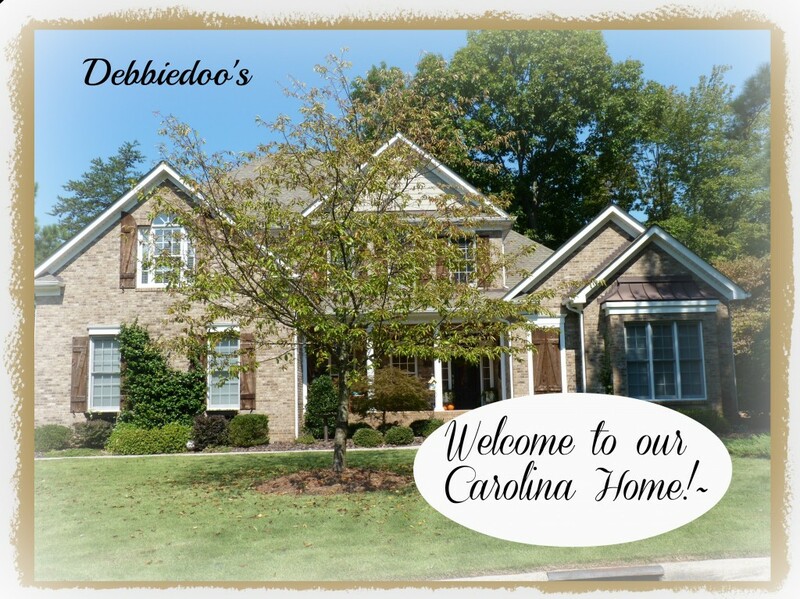 Debbie features home tours on her blog too. I was so honored when she asked to tour my home a while back. Debbie has such a generous heart that I couldn’t think of a better way to pay it forward. Hi there Worthing Court friends and readers. I am Debbie, from Debbiedoo’s! 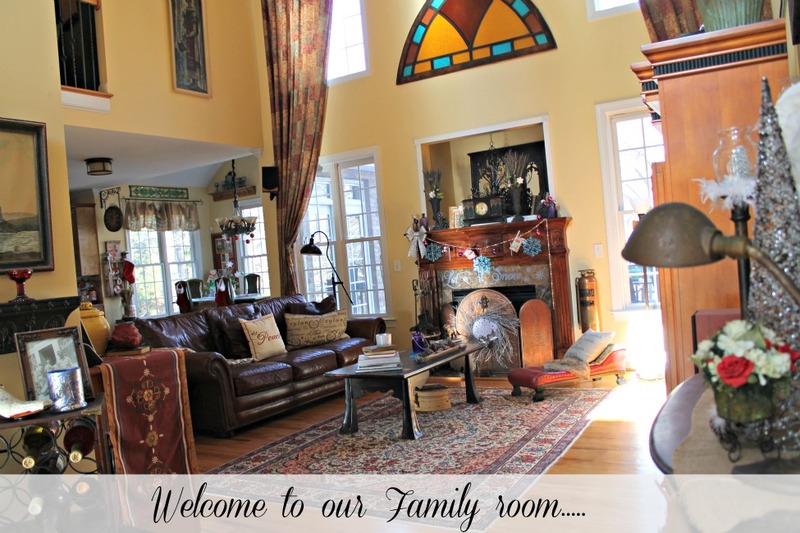 I am so happy to be invited over to Suzy’s lovely home and blog to kick off her home tour series. We love our home and live here with our two son’s ages 15 and 11. Oh and I can’t forget our pug named Lucy. Our home is around 3,100 sq. feet and I have found it to be the perfect size for our family. We bought our home without ever stepping foot in it. We fell in Love with the Carolina’s the moment we arrived. The people, the food, the weather, the schools, just every thing about it was a perfect fit for us. So we upped and left South Florida…..after living there for 9 years. We are true risk takers…. My husband and I have an eclectic mix and style. We love everything, from Old World, Spanish, antique, a splash of whimsy and a whole lotta color! The good thing is, we both LIKE it and pretty much agree on everything. If we have not been out scouting and collecting ourselves, family is always sure to dig something up for us, that has a family story to treasure for years to come. Yes, indeed this is suppose to be a dining room. But who really needs one? Not us, we gather in here often with family and friends, play games and chill. Lots of collections, and things passed down to us in this room that sure make for plenty of conversation. From the Pub room it is open to the Family room and as you can see the kitchen area as well. Again, an interesting mix of antiques we have been collecting for going on 10 years now. This is our Holiday kitchen. Lots of diy, trash and goodwill projects in here. The Christmas kitchen in full. again, full of color. I like to keep the flow of our home from room to room. So pretty much you see the same colors, however, they are mixed differently. Both the guest room and Master bedroom our on the first floor. 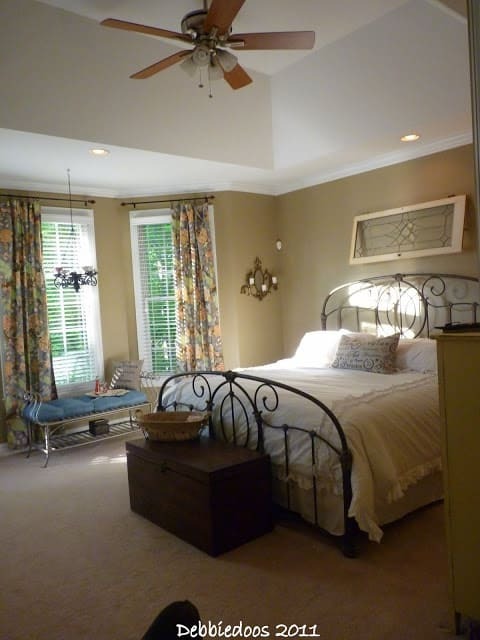 This pic was taken after my Bedroom makeover…you may want to see the before. This is my older boy Alex’s room. this room also had a major makeover and this is the after, from tween to teen. And then there is Happy Jack’s room! and the boy’s TV room which is also a mess right now. We can however, go outside now…. We sure enjoy this time of year…Summer and Fall are fantastic times for family and friends gathering. That is it for now peeps….Hope you enjoyed the tour. Thanks for having me over Suzy! Merry Christmas to all and a very Happy, Healthy New year! Thank you, Debbie for helping me to kick off the House Snooping Series with such a great tour of your lovely home! Please feel free to add the Worthing Court featured button to your blog. « 2012 – What a Year! Good Morning Suzy, thanks for having me. Fun to see our home on another blog, it looks different LOL! Thanks for the snooping, I love her home. The pub room is great. I love the ceiling. Oh, I love snooping in homes! That is fun! 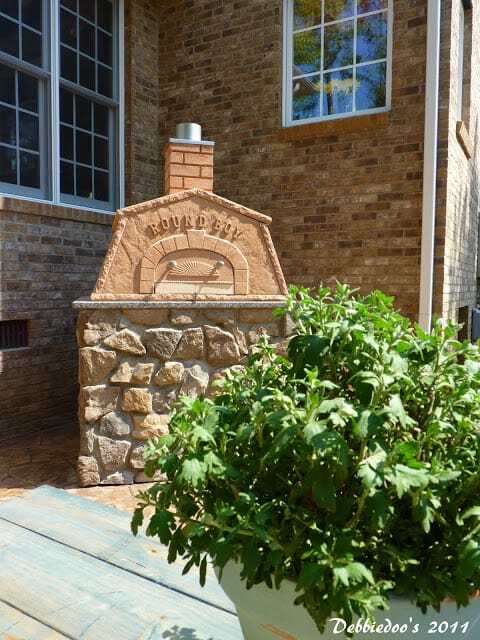 Love Debbie’s home and all of her creative projects!….especially the pizza oven! !….Great one to kick off your new series!…love it!! Suzy! 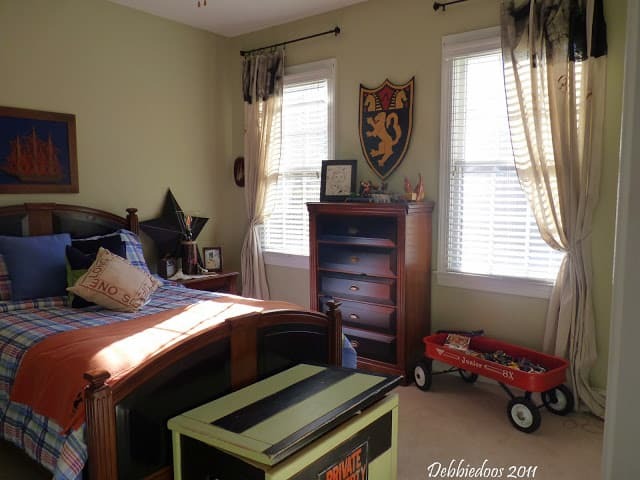 What a great snoppy tour of Debbie’s place 😉 I just love her boys rooms! Maybe one day, she’ll throw a pizza party for us all? To die for! 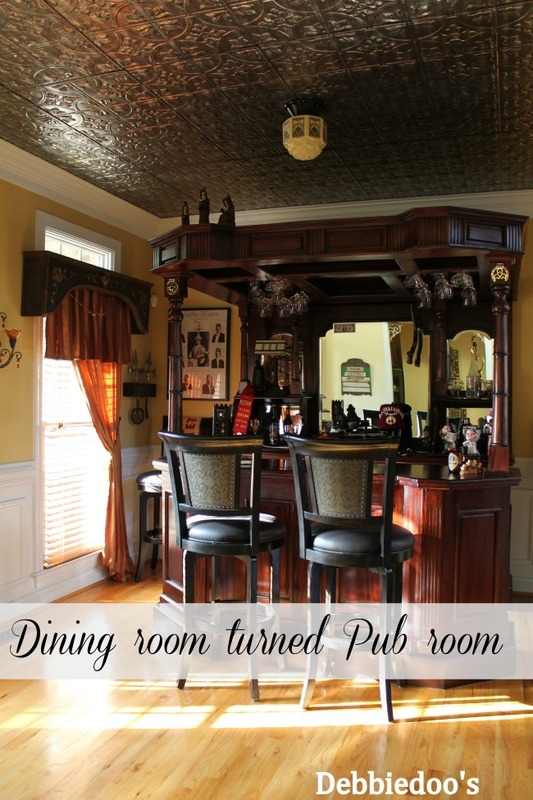 I love Debbie’s home, but hadn’t seen the bar or the boy’s rooms…so gorgeous and creative! Oh….so happy you are featuring Debbie! She is such an inspiration! I love the colors that she chose and every little detail is perfect! Thanks so much for sharing, Suzy! I love to snoop! What a great series and a beautiful home to start off with! You’re right Debbie is awesome, love her, her blog and home! I’ve seen it before, but Debbie’s home is always fun to snoop around in! Thanks for sharing, Suzy.